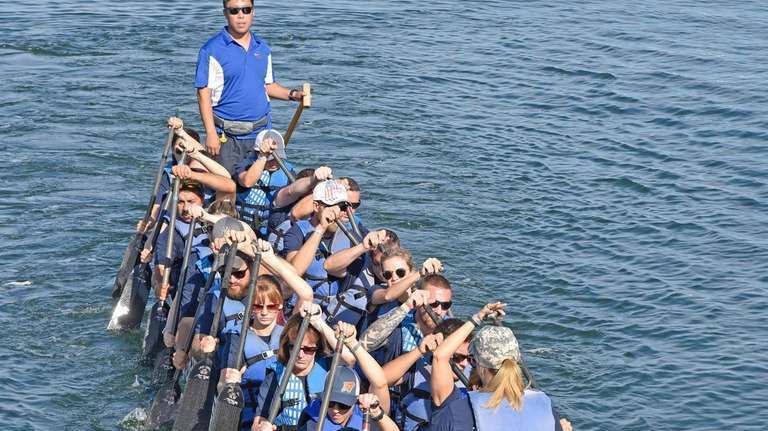 Hundreds of spectators cheered the more than 30 teams rowing in Port Jefferson Inner Harbor at the 5th annual boat race on Saturday. The day combined hard work with good times for the rowing teams participating in the Dragon Boat Race Festival on Saturday in Port Jefferson. More than 30 teams from across Long Island tested their mettle against other crews in the boat races at the fifth annual festival. 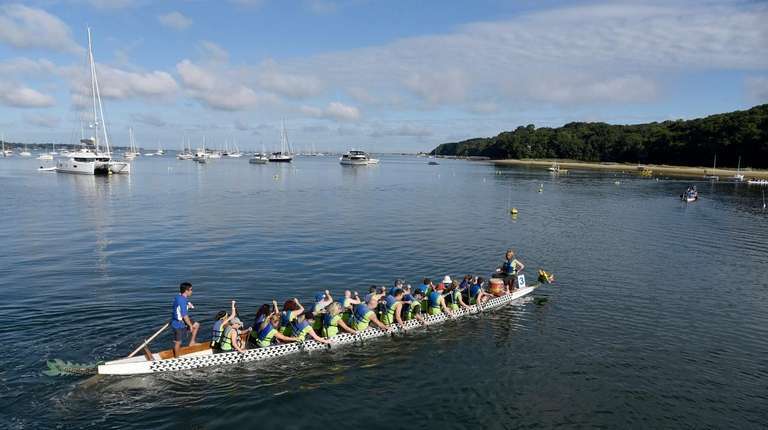 Hundreds of spectators cheered them on as they rowed in the salty waters of Port Jefferson Harbor near Mayor Jeanne Garant Harborfront Park from morning to evening. Matt Veterano, 39, of Setauket, said hard work paid off for his team from St. Charles Hospital in Port Jefferson — calling themselves “Seas The Day” — as they finished first in one of their heats and were ranked fifth overall by the midday point. Although his team, racing for their third consecutive year, had only practiced once, team captain Veterano said his group worked so well together, it made it easy for them to get in sync. Tom Zanatta, 62, of Lake Grove, said his team, which works at Zebra Technologies in Holtsville, had practiced 10 weeks for the race. 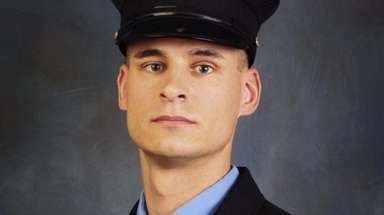 Preparing and getting a team together was not easy, Zanatta said, but “bringing 20 total strangers together” through camaraderie and competition made it worth their while. The festival had something for everyone, including traditional Chinese dancers, Chinese crafts such as calligraphy, costume contests, an array of food vendors and face painting for children. Maureen Fazio of Medford said this was her first festival. She was having a great time, she said, especially after winning first place in the Best Costume competition. Fazio, who works and competed for Brookhaven National Laboratory, dressed up with a dragon costume made from a red high school graduation gown, a festive green dragon head cap, a red and black trident and a plastic samurai sword.